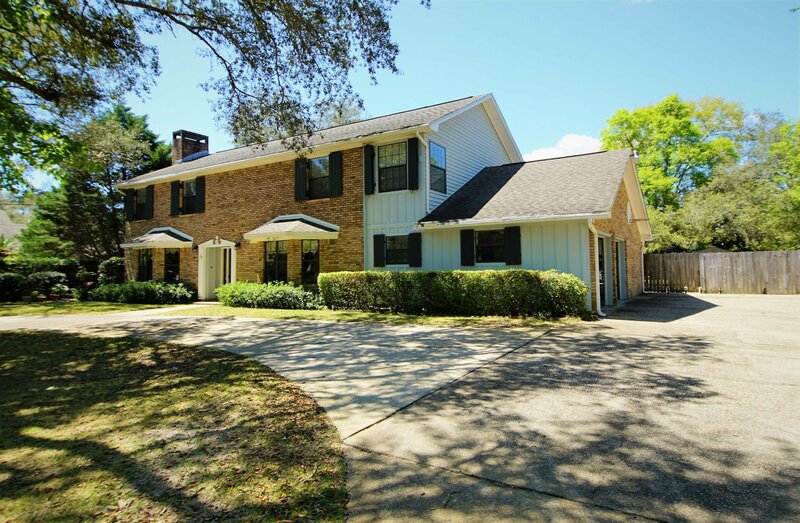 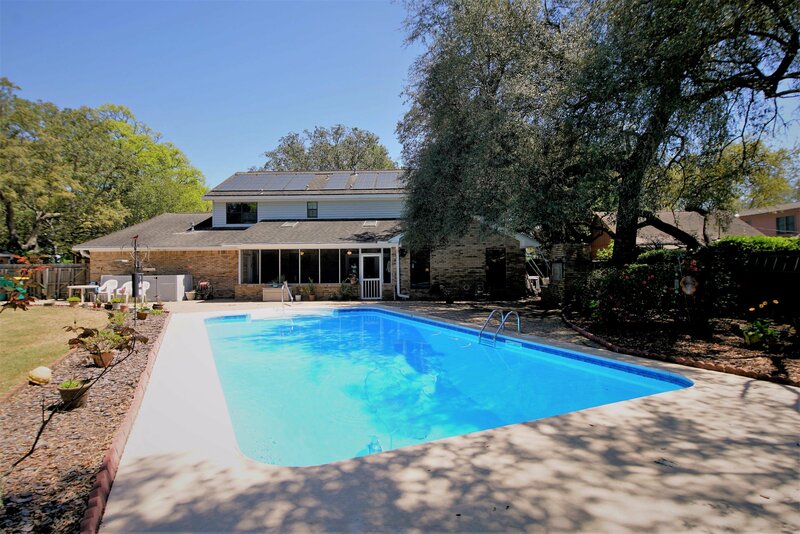 Large Two-Story Family Home in Desirable Lake Lorraine Could Be Yours!!!! 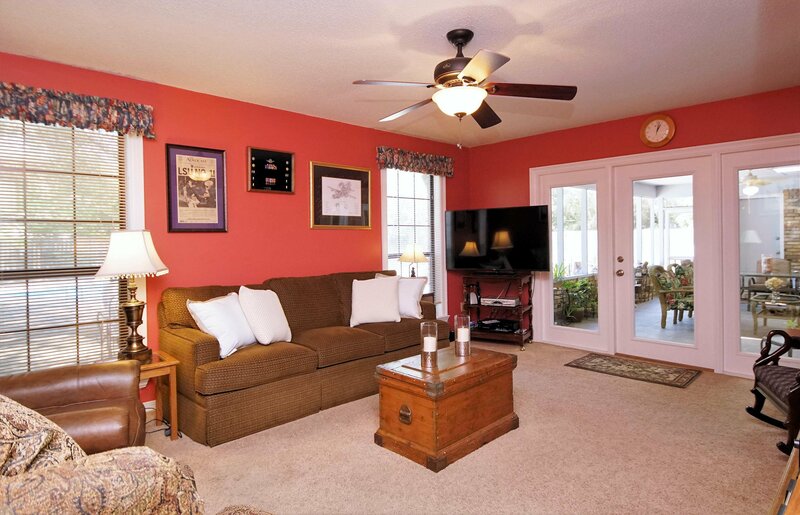 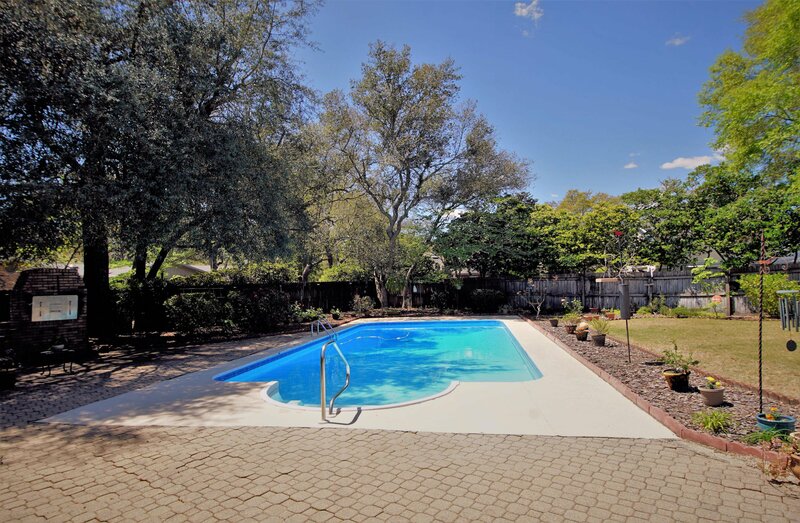 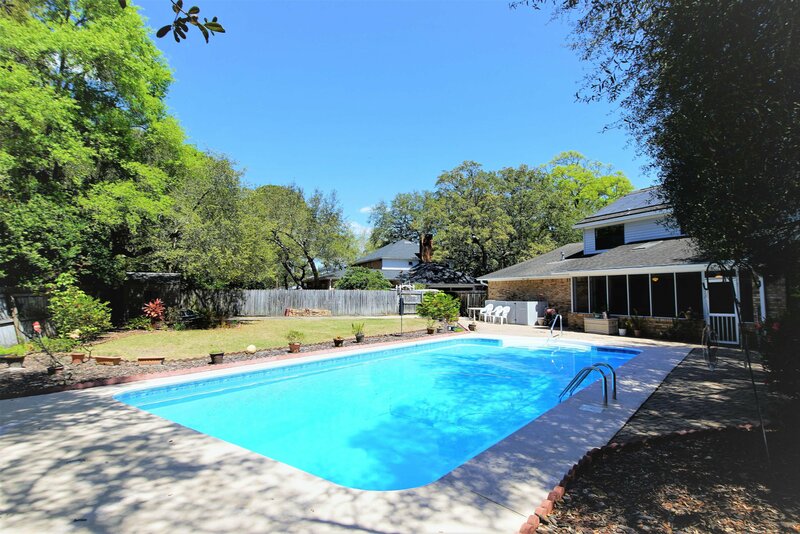 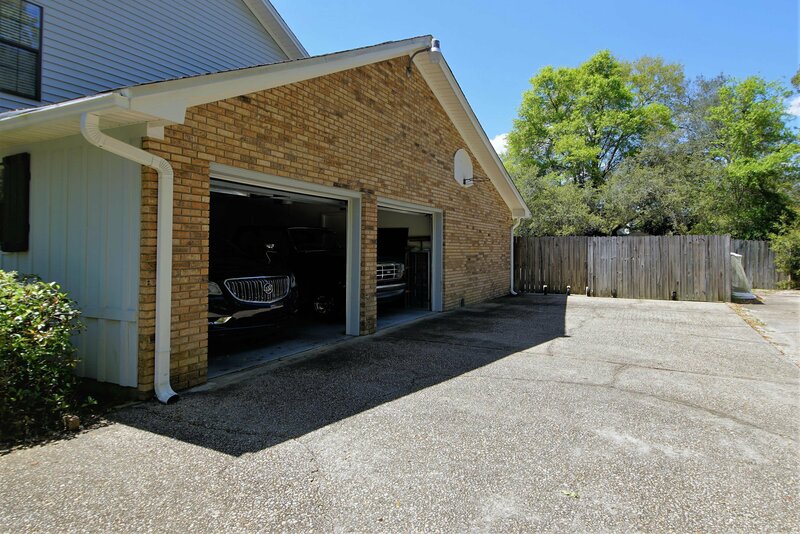 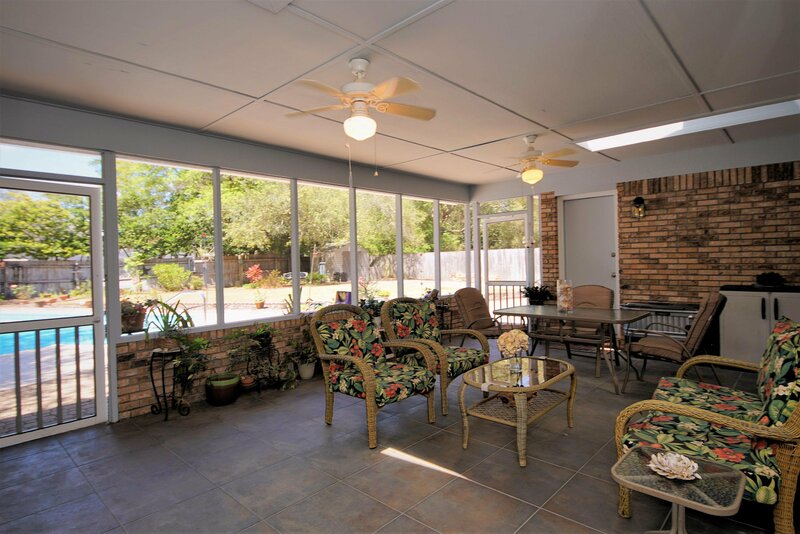 !Located conveniently to Eglin AFB, close to schools, on a quiet street in a family oriented neighborhood. 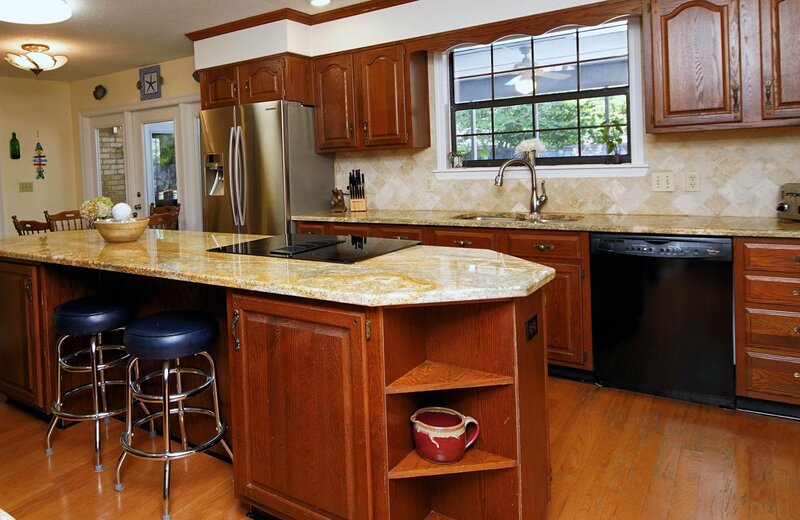 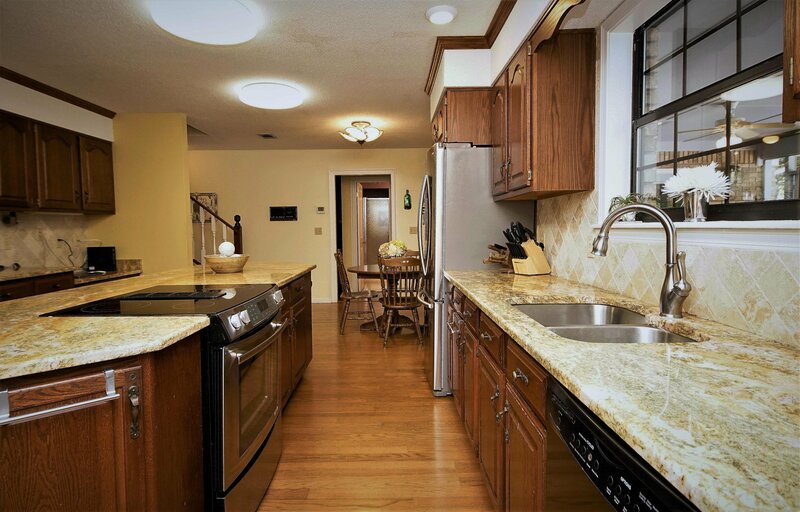 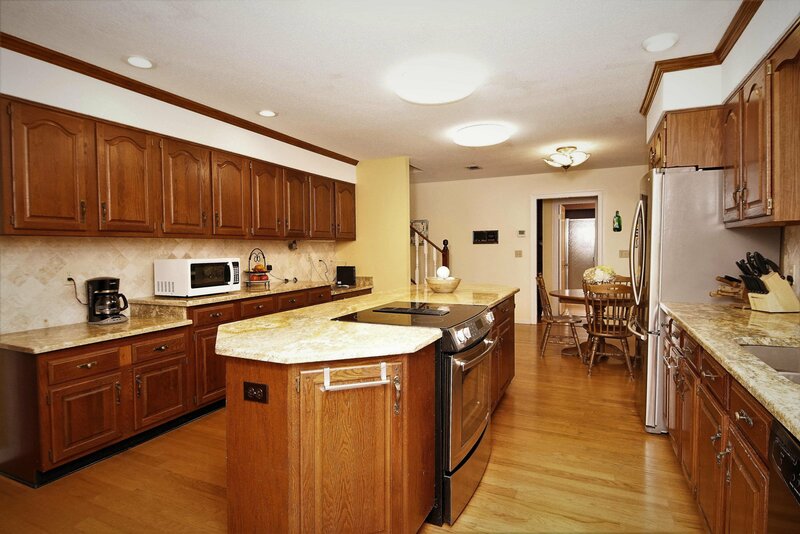 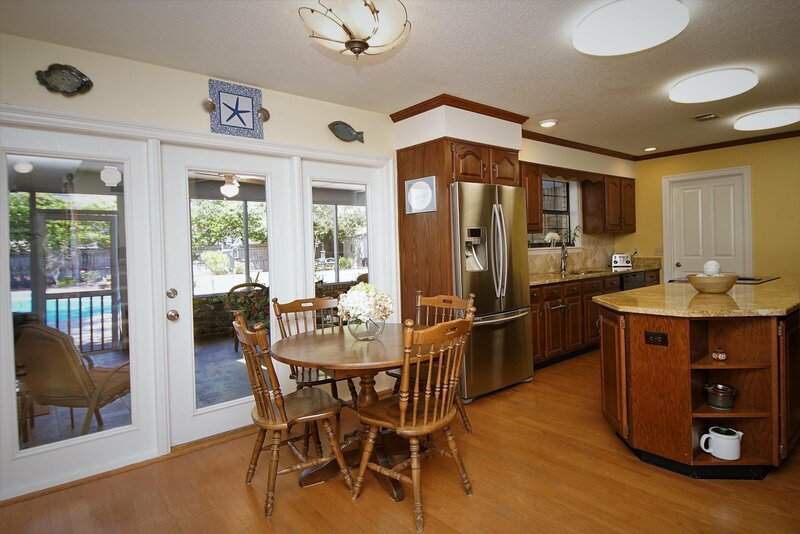 Original owners thoughtfully designed this 4 bedroom (each with a walk-in closet), 4 bath home with family lifestyle in mind, including a 23 foot by 13 foot eat in kitchen with lots of cabinet and granite counter space. 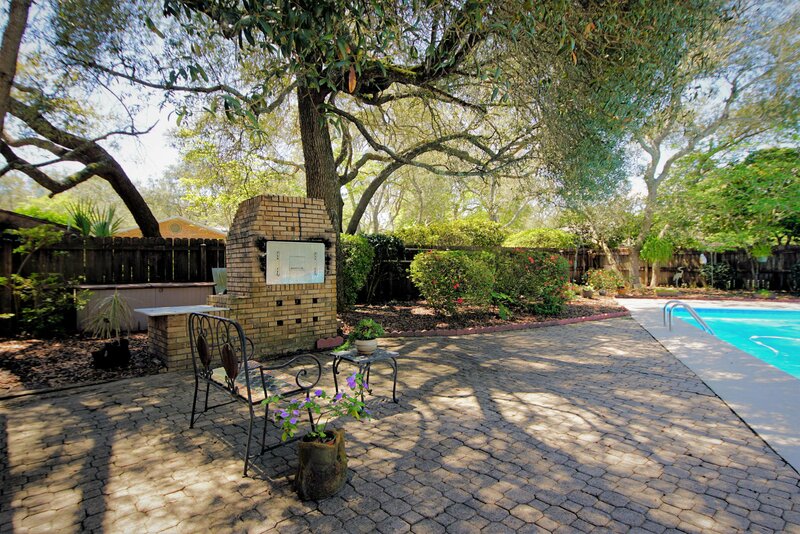 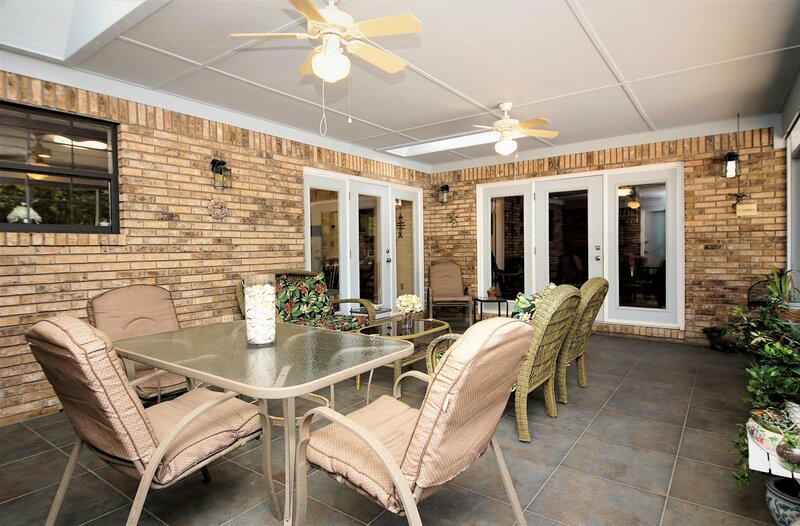 Entertain family and friends in the large privately fenced back yard with an 18 foot by 36 foot, solar heated, inground liner pool, custom built brick natural gas outdoor oven and grill, with access to one of the two first floor full bathrooms from the enclosed screened patio, that is tiled, has two skylights and ceiling fans. 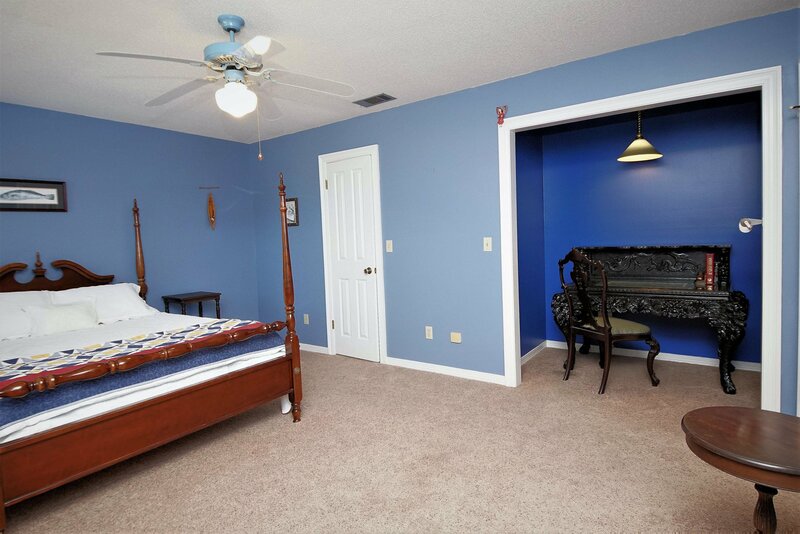 (MORE) A 17 foot by 17 foot bedroom (currently used as a den) has wall to wall carpet with access to the second full bathroom on the first floor with Jack and Jill access. 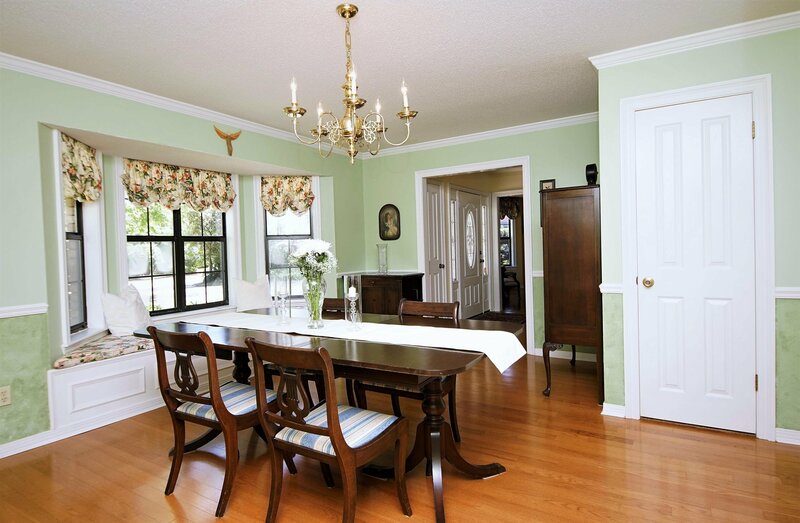 Hardwood flooring in the kitchen, living room and dining room, complements the bay windows in the dining and living area. 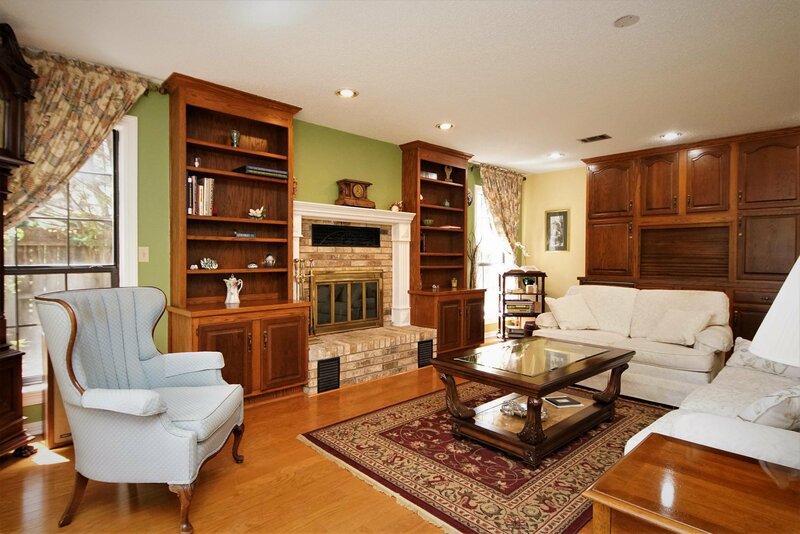 A wood burning fireplace with gas starter, built-in book shelves and cabinetry complete the living room. 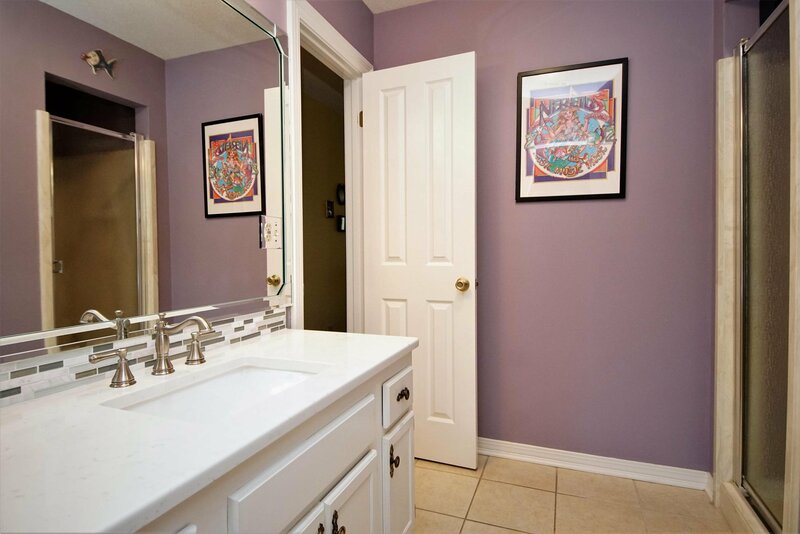 A large laundry room off the kitchen adjoins a 13 foot by 16 foot, heated and cooled hobby room that can easily be used for additional storage. 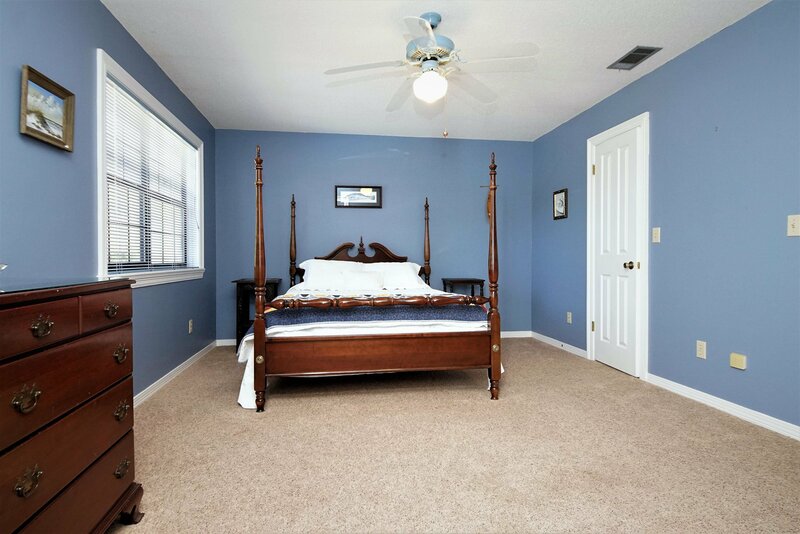 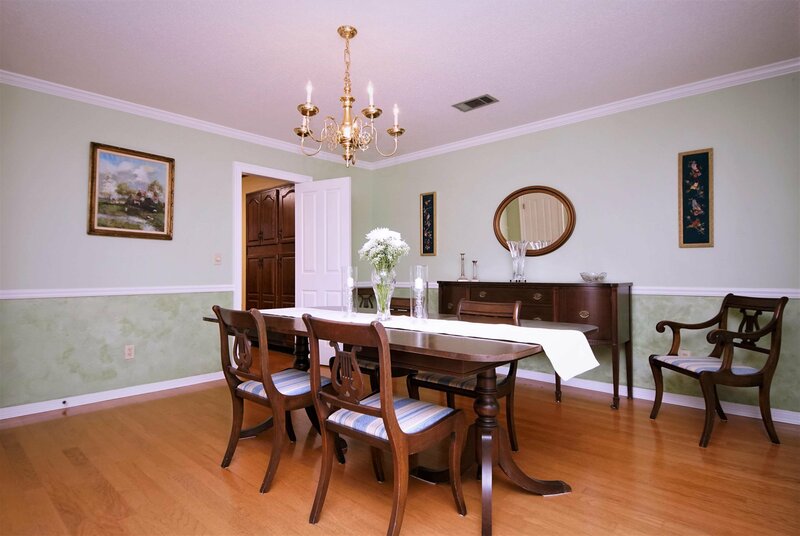 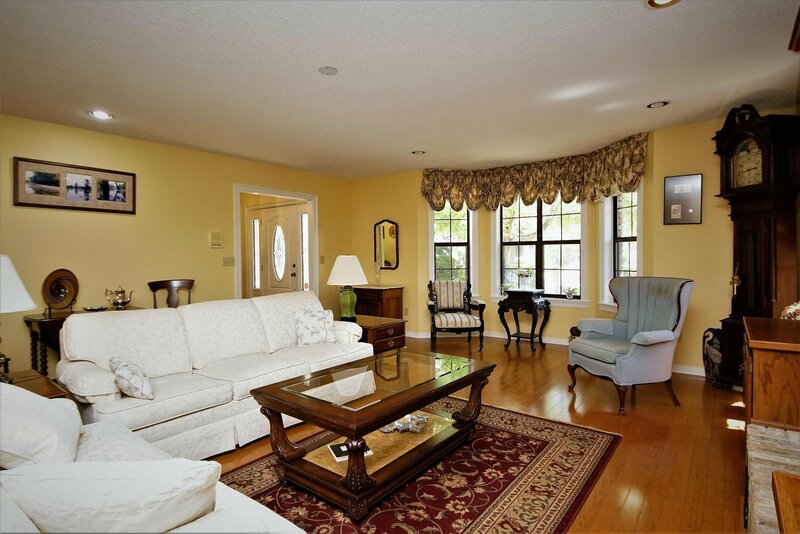 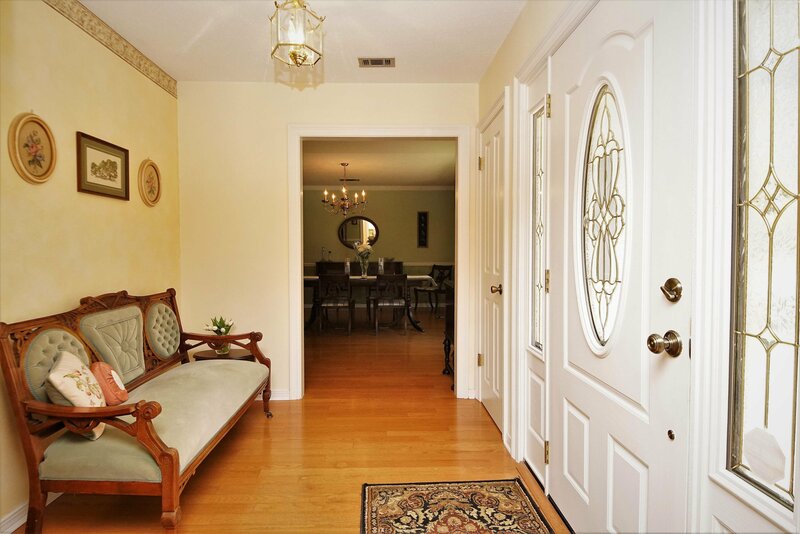 The second floor is wall to wall carpeted with two large additional bedrooms each with walk-in closets and a full bath with jack and jill access from one of the bedrooms. 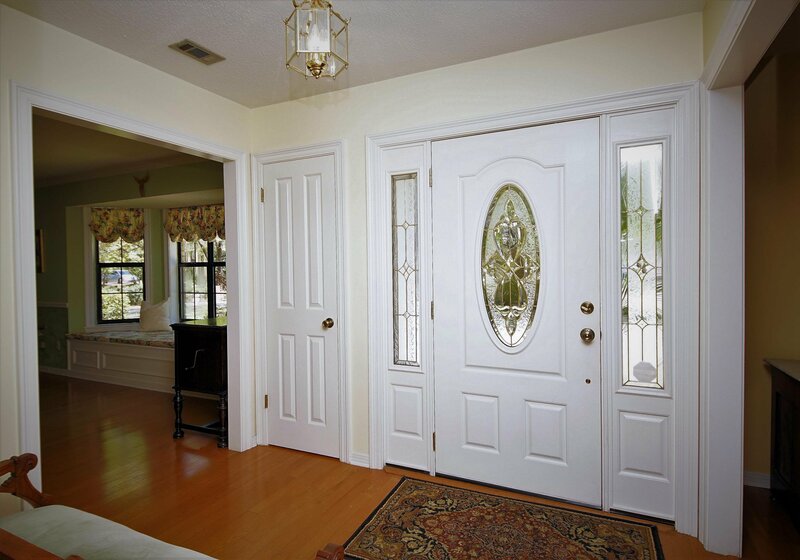 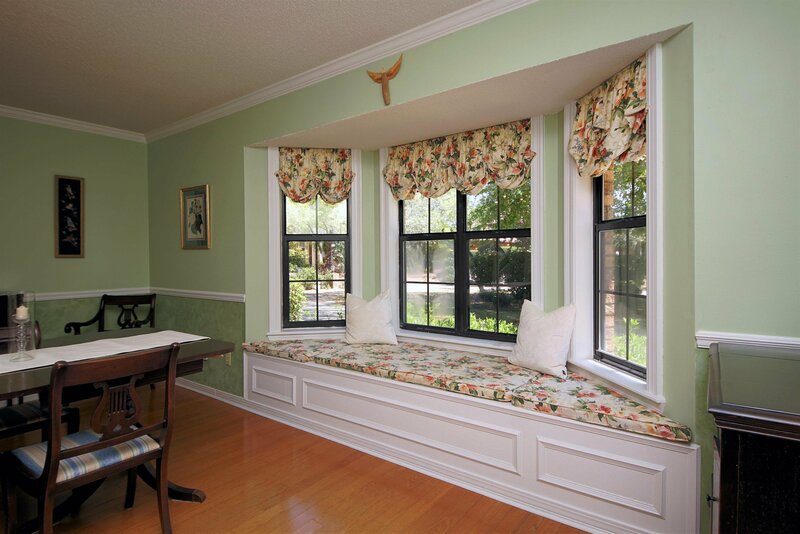 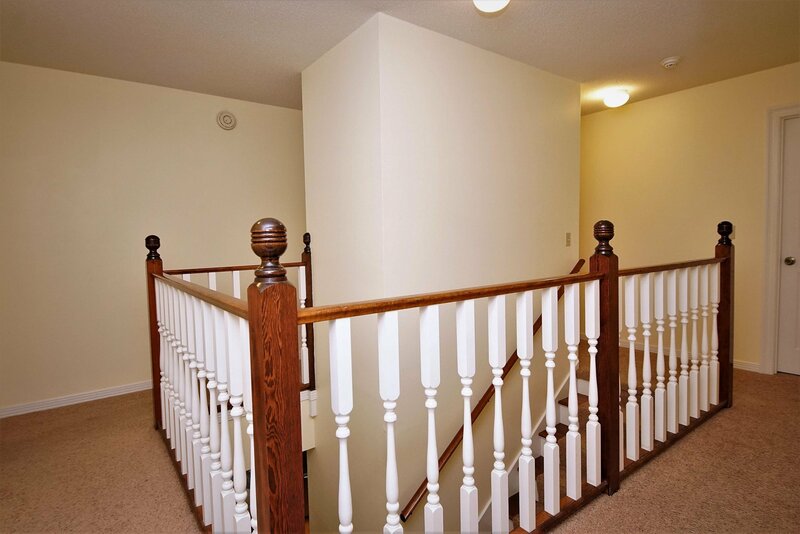 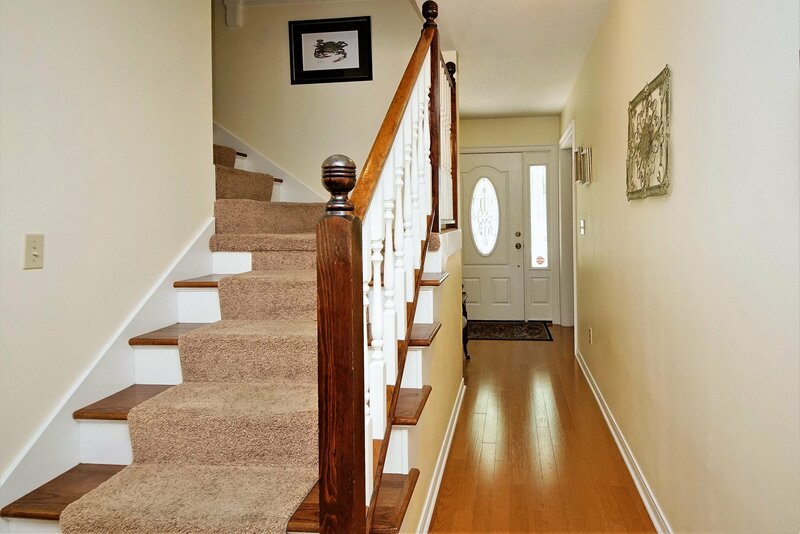 A home office is accessible from the hall that surrounds the stairwell and is accessible from the Master bedroom suite. 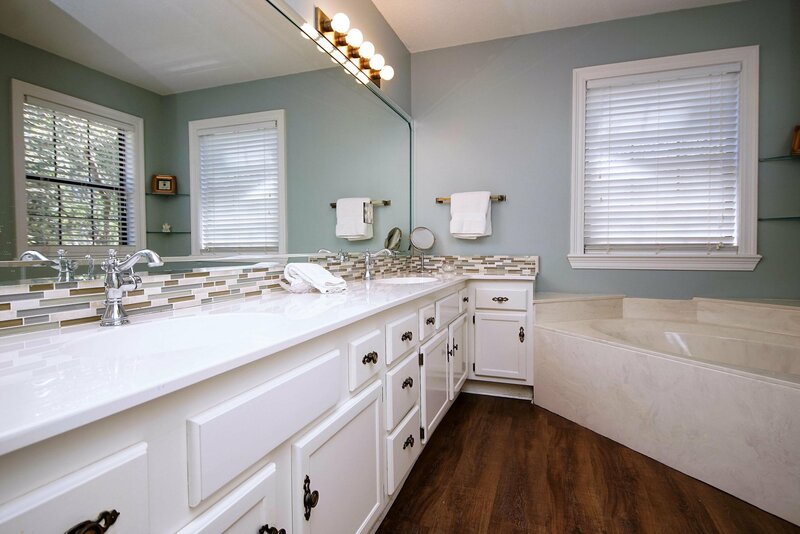 The 18 foot by 20 foot Master bedroom is appointed with crown molding and recessed lighting with a 7.5 foot by 18 foot Master bathroom, containing a separate shower, jetted garden tub, cultured marble double vanity and walk-in closet. 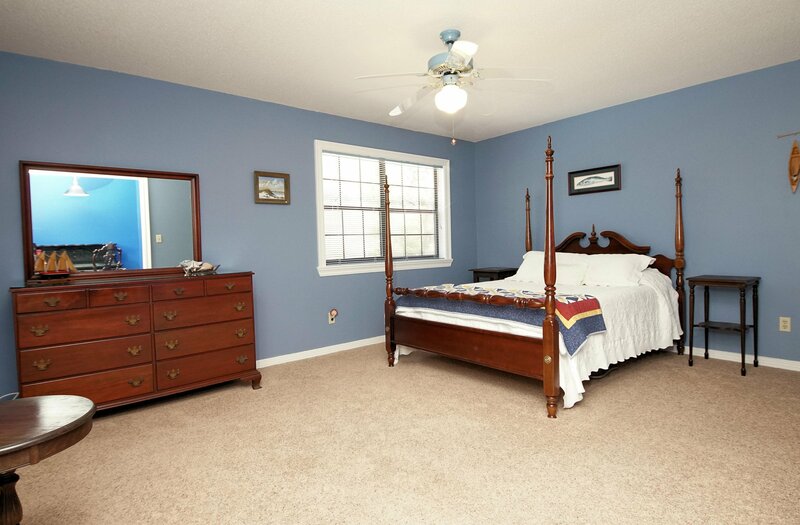 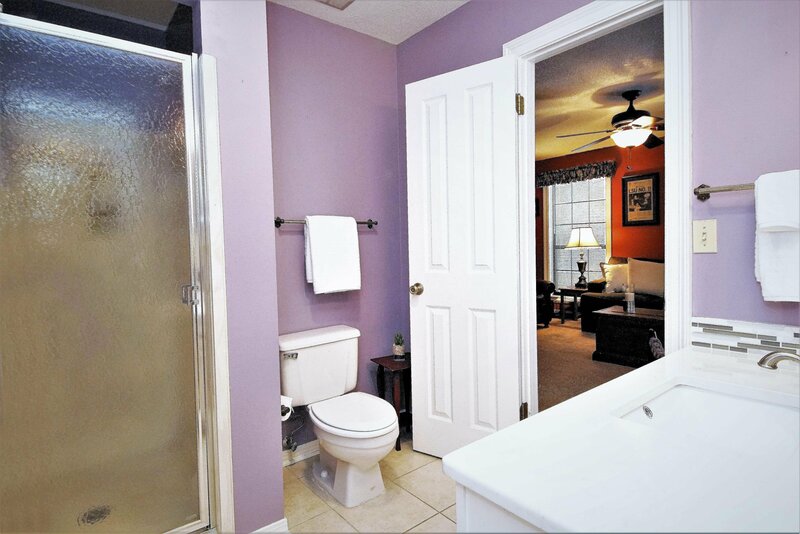 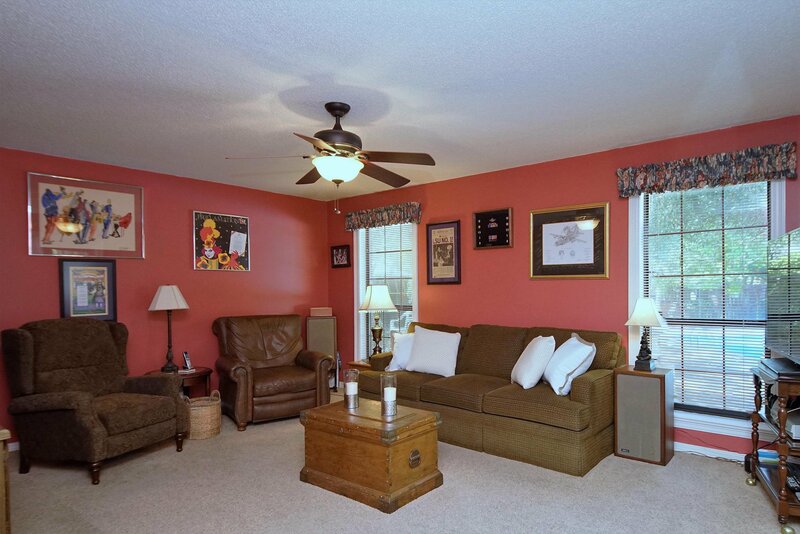 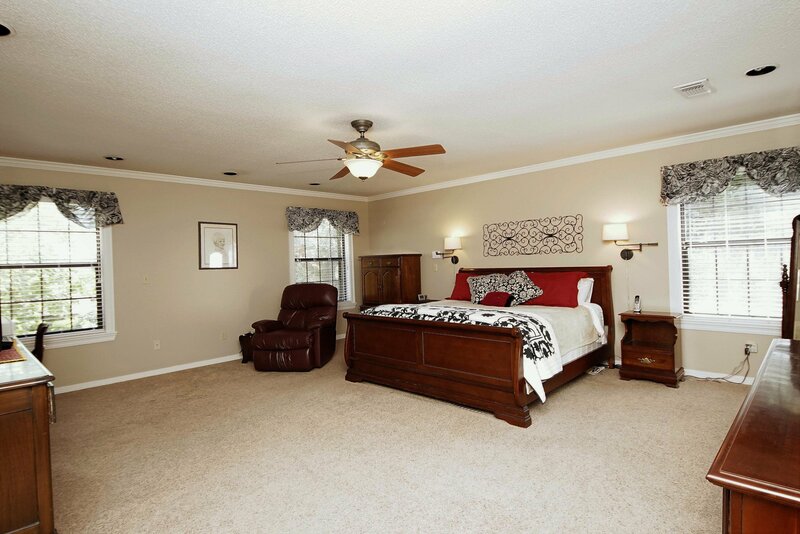 Not all rooms have been photographed for this listing.